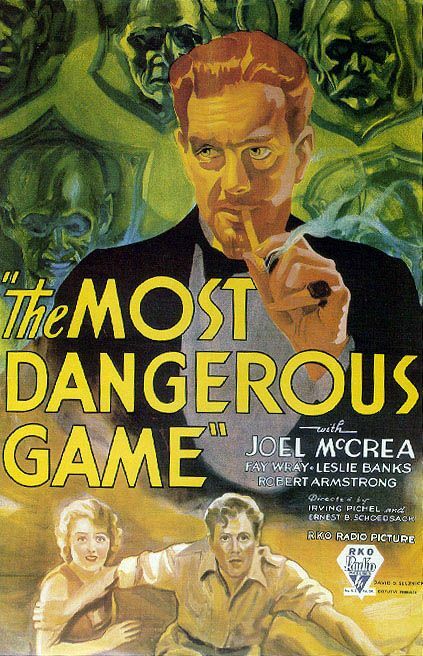 The Most Dangerous Game is a 1932 pre-Code adaptation of the 1924 short story of the same name by Richard Connell, the first film version of that story. The plot concerns a big game hunter on an island who hunts humans for sport. The film stars Joel McCrea, Leslie Banks, and King Kong leads Fay Wray and Robert Armstrong, and was made by a team including Ernest B. Schoedsack and Merian C. Cooper, the co-directors of King Kong (1933). The film was shot at night on the King Kong jungle sets.